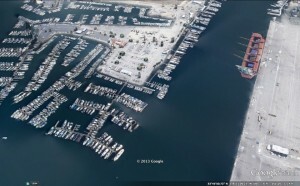 Newmarks Yacht Centre is freeway friendly from both the north and south. Newmarks is a half mile down the road at the end of the peninsula on the left. 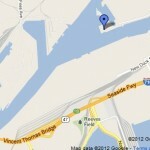 Newmarks Yacht Centre is located on a peninsula in the East Basin at the mouth of the Cerritos Channel.